Anthony O'Connor and Aberdeen manager Derek McInnes. 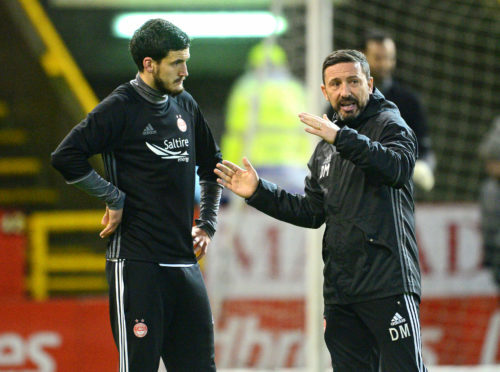 Anthony O’Connor is certainly not shy in making a prediction like that but he still feels he owes a lot to the Aberdeen manager – and his assistant Tony Docherty – for galvanising his career in the Granite City. The two came close to adding another honour to the list in 2017, in a game that has been trawled over many times in the Dons’ tales of woe in cup finals. 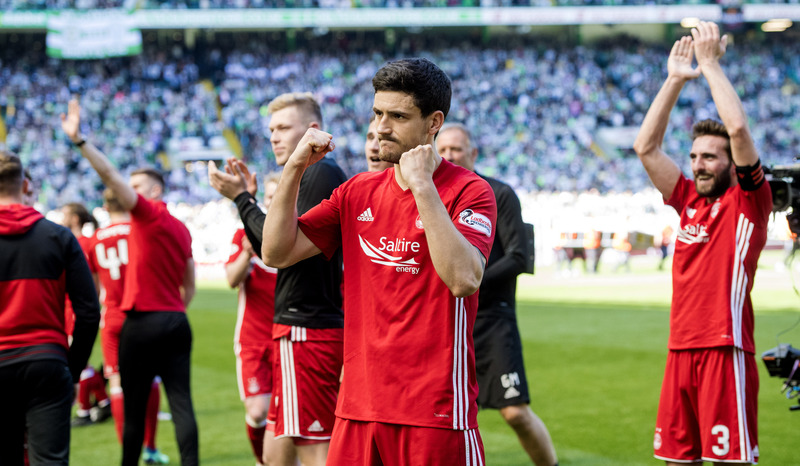 Tom Rogic dealt the hammer blow in stoppage-time that handed Celtic the cup, their first treble under Brendan Rodgers and a devastating late blow to Aberdeen, who had gone toe-to-toe with them over 90 minutes. They stand on the verge of a fifth final in five years under McInnes, with the 2014 League Cup the only silverware to show for their numerous forays into the business end of the domestic trophies. McInnes has orchestrated four consecutive second-placed finishes too, with O’Connor part of the last two. The Irish defender said: “We came so close to winning the Scottish Cup and that is something which will probably still annoy him. The league is always going to be difficult to achieve but the cup is just a one-off game on the day and you’re through to the next round. “He wants to achieve that and it would make his legacy even better – it’s already brilliant. No matter where you go in football, you get people who are always negative, which I think in Derek McInnes’ case is very unfair. How many second places and cup finals has he got to and how many European nights has he brought to Pittodrie? If people are criticising him then it’s a bit silly, because he’s brought success to the club. Anthony O’Connor left for Bradford City last summer. Aberdeen have answered some age-old criticisms this season, chiefly their performances against the Old Firm and their poor record in Glasgow. Three wins against Rangers, two at Ibrox and one at Hampden, as well as a goal-less draw at Parkhead have created renewed optimism about the Dons tackling the league’s top two. “There’s maybe a bit more belief about them this year. Coming up against the Old Firm last year, we let ourselves down until the last couple of games after the split, where we drew with Rangers and beat Celtic to secure second place. Anthony O’Connor played in two cup finals for Aberdeen. 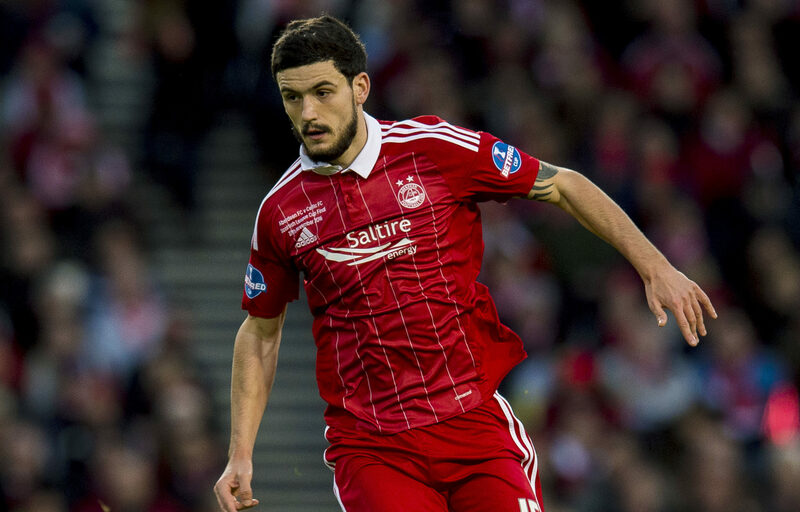 O’Connor left the Dons at the end of last season for Bradford City, who have endured a season of turmoil at the foot of League 1. Two managers have left the club this season and former chairman Edin Rahic left in December, with German Stefan Rupp taking over the running of the club and Gary Bowyer installed as permanent manager. Once the Bantams’ trip to Bristol Rovers is out of the way on Saturday, O’Connor will sit down and support his old team-mates as they bid for a Scottish Cup final place.